Cape Town - There’s a hot new action-packed South African flick on the way and Channel24 is getting to reveal snippets from the flick first. In the latest teaser trailer from Jagveld we meet the main bad guy, Bosman, played by well-known SA actor, Neels van Jaarsveld. The film centres around Emma making her way home to the family farm in the Great Karoo. She has made this trip numerous times without incident. Until one day, when she stumbles upon a murder taking place. Bosman and his mean sidekicks see Emma, who flees the scene, and the plot is set in motion as they try to hunt her down. The only problem is, Emma is the daughter of Jacques le Roux, who taught her everything he knows. And Jacques le Roux was a Recce. Nothing about this hunt is going according to plan; everything is falling apart, and fast. At first they were driven by hate and revenge. Suddenly, it’s survival. Jagveld opens in SA cinemas on 17 March 2017. 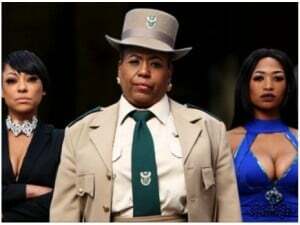 WATCH: Meet SA’s very own queen of ‘skop, skiet and donner’!